Fitness has really changed over the years. It is no longer a one, or two, person thing. Going to the gym used to be a solo sport (like bodybuilding). It used to mean going to the gym alone, getting on a treadmill alone and hitting the weights alone – or if you are lucky, you’d meet a friend or trainer. But no one worked out in groups of 10 and 20 unless they were taking Jazzercise. Group workouts have always been around, but it used to be a thing for the girls. And, going to the gym for men, oftentimes meant lifting a few weights and sitting with a few guys in the sauna. Now, with the help of weight loss reality TV, people realize just how much we are capable of. People are more willing to work harder in the gym – and now they don’t have to do it alone. Going to the gym today means joining a workout community. It means meeting a group of people to sweat it out together, cheer each other on and to push each other to be their best. 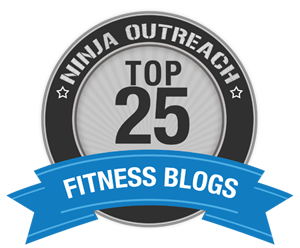 Boot camps, group workouts (like CrossFit) and conditioning gyms train in groups too. Personal trainers are now group trainers. This group style of training has added a lot of accountability, which helps drive people to perform better, stick with the program and develop lasting relationships. It’s a totally different experience – and it’s working better than any solo workout program ever did. While there is still a need for one-on-one training and there are still people who like to put their headphones on and just get in their little world, there is good news for all the people out there who need more support, more motivation and more of a push to do their best once they show up (which, honestly, is 90% of us!). 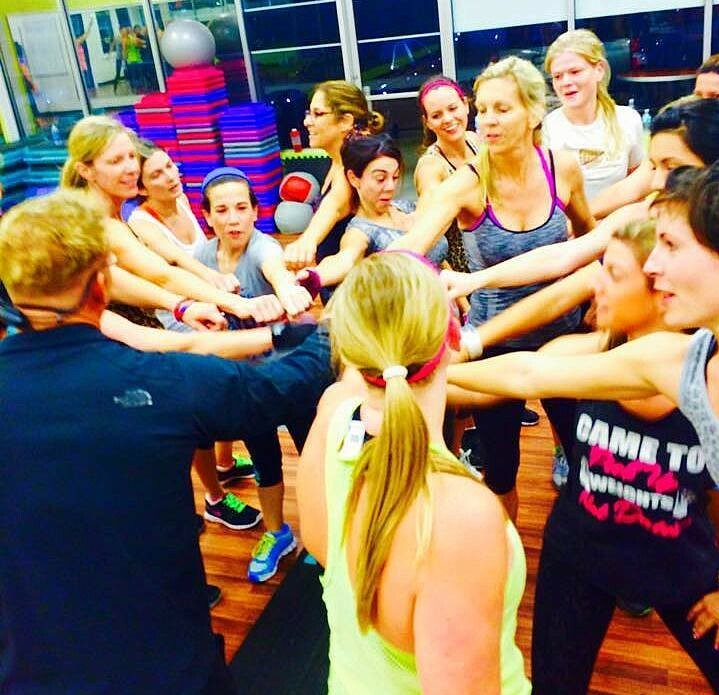 At my gym, this community feel is cultivated through our BCx Boot Camp programs. Unlike aerobics classes or other group classes where people come and go as they please, when you join our boot camp program, you are committing to spending the next 6-8 weeks with a set group of people – sweating, straining, pushing, dieting, running, lifting and learning. You go through it together as a tight-knit family, so you immediately have 20 friends who understand what you are going through and striving for. When you don’t show up, you are missed, so there is more accountability than any “drop-in” class. And, you are only having to commit to this stricter regimen for a brief season, so it makes it feel more doable. Like I always say, “you can do anything for 8 weeks”. This is why many gyms are going to more group training like this. There is power in numbers – and you are never doing a workout with out a trainer right there with you pushing you, directing you and encouraging you. You are actually getting more quality training for less than personal training. While it may be more expensive than a regular gym membership, more people are getting better results so it’s money well spent. While other people are throwing away a monthly membership not getting anywhere, you are more likely to make the most of your investment. I believe there is a little bit of danger that goes with working out alone. There is no one to hold you accountable. There is no one to say “one more rep” or “don’t stop”. There is no one challenging you to try something new or to set higher goals. There is no one who is let down when you decide to skip the gym. Before you know it, you can look back and realize you are in the exact same place you were several years ago because you were just going through the “gym motions”. 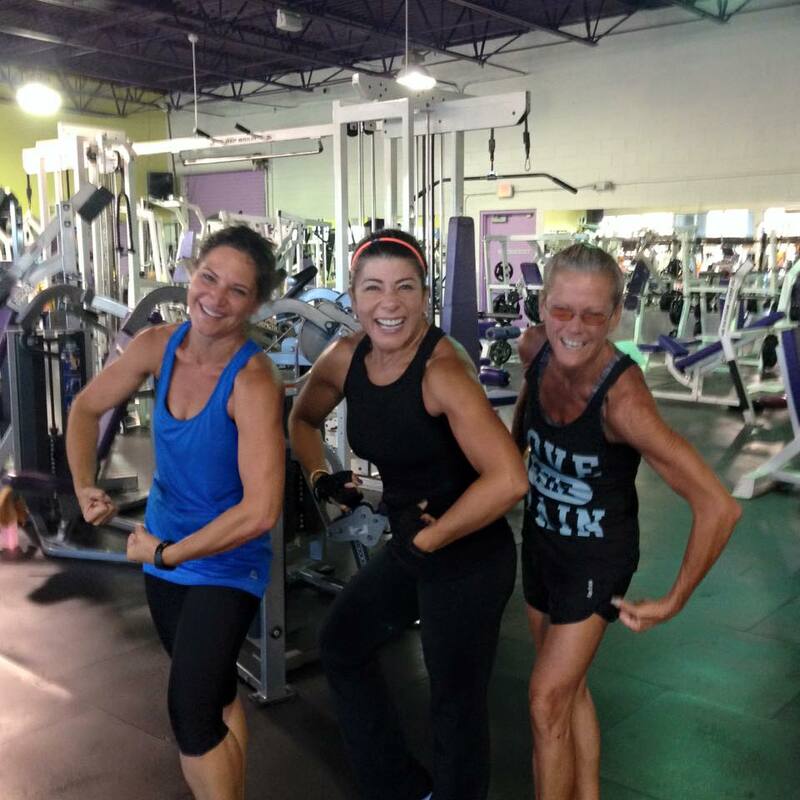 Can I encourage you, IRON SHARPEN IRON – in and out of the gym! The Bible constantly encourages us to not go through this life alone. It’s not that you have to go to church to grow spiritually, and you don’t have to go to a gym to improve your body physically. HOWEVER, is it easier? Is it better? Is it safer? Could it help you more? Absolutely. 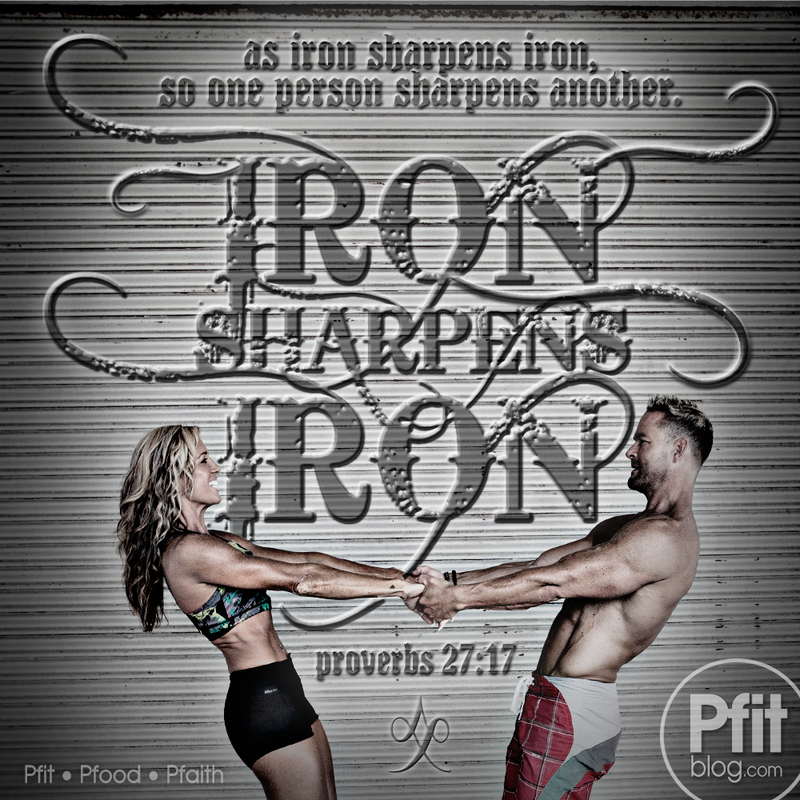 Iron sharpens iron. If you are in a place of complacency, maybe it’s time to make some changes. Whether it’s your fitness, your spiritual walk, your work or your family life, surround yourself with others that will help you grow and develop into the man or woman you desire to be – inside and out! Join a fitness program for 4-8 weeks. Plus in a group, like a bible study. Don’t try to go through this challenging life alone.